INCREDIBLY SPACIOUS: With a floor length of 7’ x 7’ it has enough room for 3 or 4 people to sleep comfortably and 51” of peak height at the center provide ample vertical space for children to walk. FIBERGLASS POLES: Trust in quality materials that are tough enough to withstand downpours and light winds. Sturdy shock-corded fiberglass poles make a strong foundation and keep your tent standing. DURABLE MATERIALS: Enjoy the outdoors with a cozy place to rest your head. UV-resistant polyester material and a mosquito mesh keep you protected against sun, insects and other weather conditions. EASY TO SET UP: Pitching your tent is quick! We take the stress and worry out of assembling a camping tent. Setting up our tent is effortless and simple with a few easy to read step by step instructions. 3-SEASON TENT: This dome-style tent weathers any storm and is a suitable shelter for spring, summer, and fall. 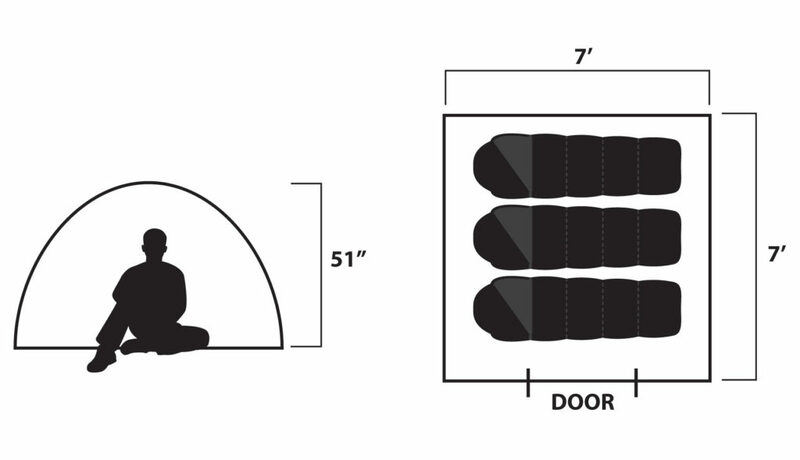 With 1 door and 1 window, you’ll get optimal ventilation and cool breeze during warmer seasons. Your next adventure is waiting! 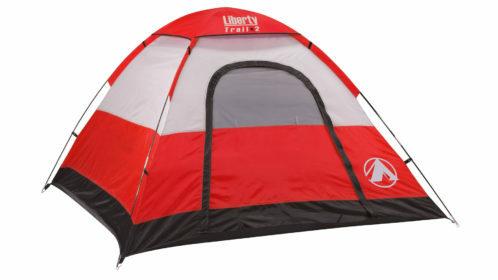 The Liberty Trail 2 Tent from GigaTent is exactly what you need to enjoy the outdoors. Make your next camping trip more enjoyable with a comfortable place to sleep. High-quality materials and a strong foundation make our tent super protective and durable ensuring that you’re safe and cozy. Our durable tent is designed to keep your family dry, keep out insects and provide privacy. 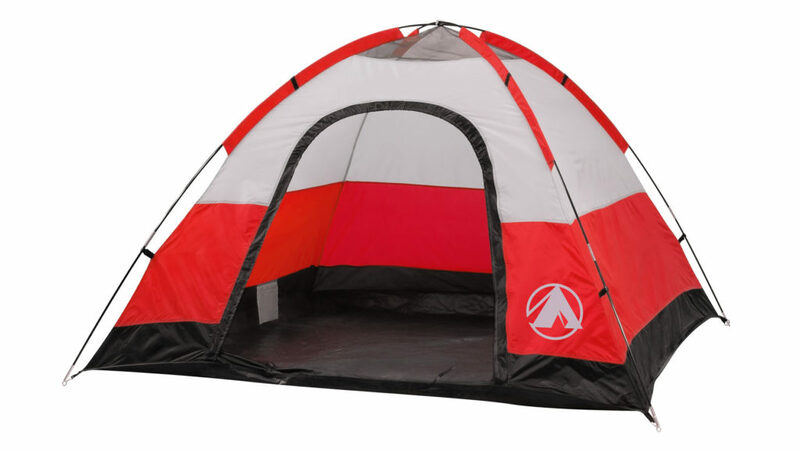 It’s durable and long-lasting tent provides optimal shelter and coverage. Whether you’re in the mountains, by the lake or on the beach we’ve got you covered. Our versatile camping tent is made with high durable long-lasting materials you can count on. A mesh panel window boosts airflow and keeps out pesky bugs and insets. While heavy-duty polyester provides shelter from rain, light snow and retains warmth. A UV-resistant material prevents fading and weakening that can result from sun exposure. PITCHING A TENT IS QUICK! We take away the stress so you can impress. Setting up your new tent is quick and easy with a few steps. Follow our easy to read assembly instructions and get ready to go on an adventure. With fewer poles, you can set the foundation for your outdoor shelter faster. Your cozy hideaway can be ready quicker than you think. Simple, stable and proven dome design is easy to set up. for a comfortable tent experience. 24" x 5" x 5"